The other day was a rough day. One of our companies failed to find a buyer and let all their employees go. Over dinner my dear friend Joey Hundert provided support and counsel while reminding me that as entrepreneurs our lives are full of peaks and dips. He assured me it’s okay to be genuine in the emotions we feel when companies fail. And I was sad and disappointed. Then yesterday I was reminded of the emotions when companies succeed. Stu Wall gave us an amazing update on Signpost. Olapic acquired Piqora and Pau invited me to talk to IESE Business School about Olapic as their first investor. 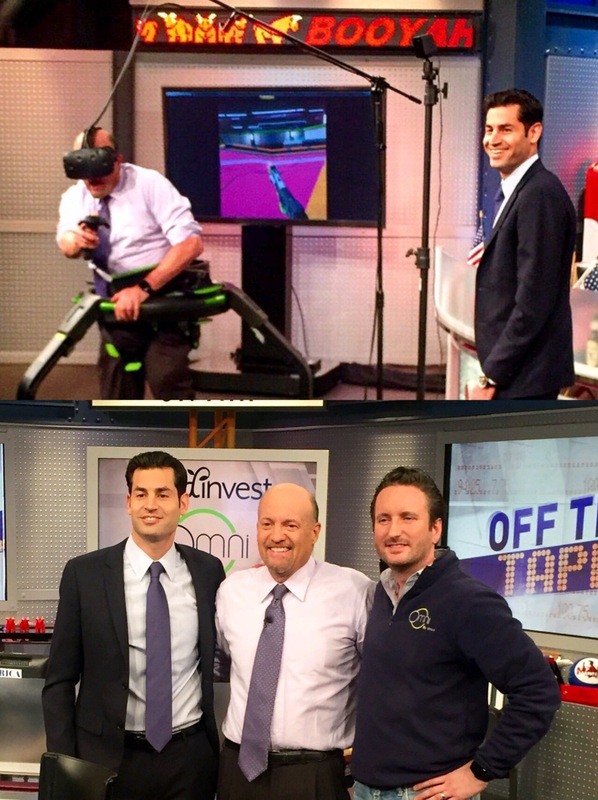 Ryan Feit of SeedInvest (where I sit on the Board) and Jan Goetluck of Virtuix (where we are also investors) were on Jim Cramer Mad Money. They were promoting both equity crowdfunding and the disruptive VR technology as they partner to raise one of the first Title IV of the Jobs Act deals from both accredited and non-accredited investors. And just like that four of our entrepreneurs remind me of why I love what I do. Reblogged this on Scout Ventures Blog.